Organic produce that is fresh and local reduces your risk of cancer and other diseases related to toxins used in the agricultural industry. One easy change to make as you improve your eating habits is to buy organic food. 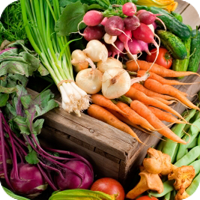 It is important to purchase organic produce that is fresh and local, and meat that is free of antibiotics and hormones. Reducing the amount of pesticides and other chemicals in your diet reduces your risk of cancer and other diseases related to toxins used in the agricultural industry. In addition, the water used to produce organic food is cleaner, the soil is healthier, and the animals are usually raised more humanely. In addition to how your food is produced, another important change is a balanced diet that includes a variety of vitamins, minerals, fiber and nutrients. Check out the following articles or contact us for more nutrition tips.